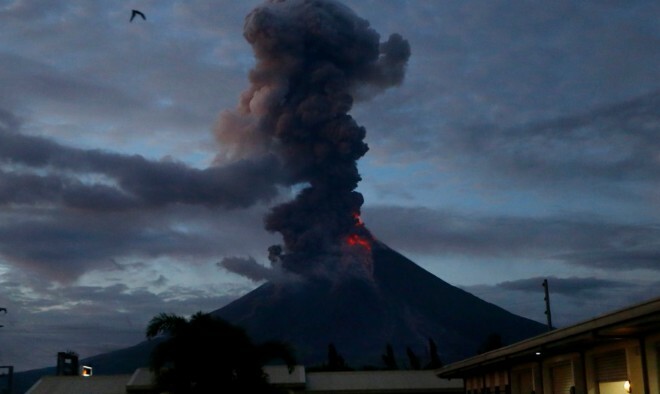 After several months of hibernation, the Philippine Mayon volcano broke out on Sunday, July 1, throwing blue and white clouds of ash to a height of up to 500 meters. The eruption occurred around 12:30 local time. In March, the Philippine Institute of Volcanology and Seismology lowered the warning status of the volcano danger from the 3rd to the 2nd. As local volcanologists note, on Sunday the eruption was phreatic in nature. This is an “explosion” that occurs when the water under the ground or on the surface is heated by magma, lava, hot stones or new volcanic sediments. Experts fear that the decision to lower the statute of the volcano’s danger was premature.